Dear reader, I had every intention of dispatching a lobster yesterday. I wasn’t looking forward to it, for several reasons. For starters, the last time I whacked a crustacean was in culinary school. It was 110° with the stoves turned off. We were each given a silver bowl full of wriggling, mud-brown crabs, and then on went the ranges. I poured a wheel of oil into my large pot, and waited until it was nearly smoking. After a silent “excusez-moi” to my ill-fated crabs, I tipped them in. The truth is, the smell of ten bowls-worth of little crabs in a very hot kitchen is not the finest scent in the world. I would not recommend bottling it for sale. And then, after the sorry blighters ceased moving, there was the matter of pulverizing them. We were, after all, making crab soup. Armed with thick, plastic-wrapped rolling pins, we set to work banging the bejesus out of the contents of our pots. A trip through a sieve, a lick of cream, and a dusting of white pepper later–voilà, crab soup. French culinary school is not an enterprise for the weak-of-stomach. Another matter: I’m not particularly experienced in the art of disrobing sea creatures. I was reminded of this on a recent visit to the Frenchman’s grandparent’s house in Île d’Oléron*.We were having langoustines** and mayonnaise for lunch, and I was struggling. There is meat in the claws and tail, but those mothers are small and spiny. In the time it took me to open one, everyone else had extracted four. Finally, Mami took pity on me, and simply passed me every other langoustine she opened. It wasn’t embarrassing at all. Finally, I wasn’t wild about the idea of photographing a live lobster before sending it to its doom. It just seemed wrong. Was it possible to objectify a lobster? So, dear reader, I am relieved to say I chose to make my life a little easier. Even if it is sort of cheating. 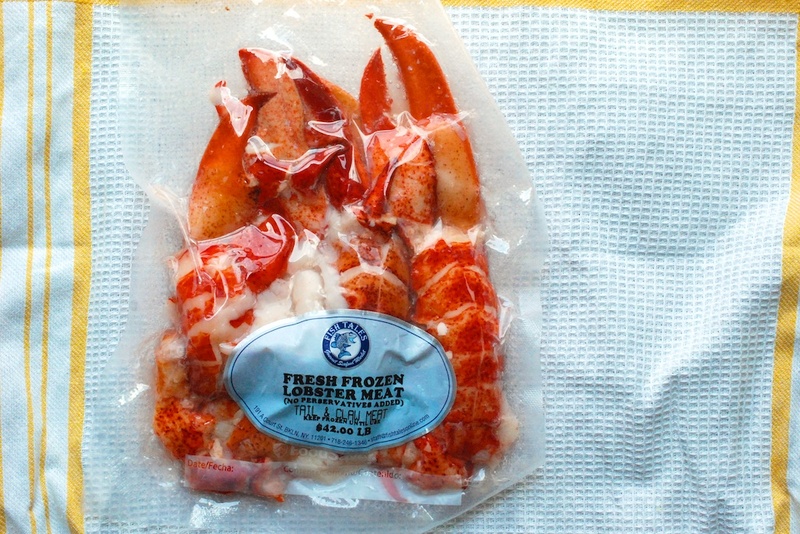 I selected a pound of bright red, vacuum-packed lobster claws and tails, and went on my way. *Île d’Oléron is an island off the western coast of France; a wildly beautiful place, circled with duned beaches and ice blue waters. Unsurprisingly, they pull very high-quality seafood out of the ocean there. Oysters are a particularly specialty. **While we don’t really do langoustines in the US, they are very popular throughout Western Europe. They are basically little lobsters, typically as long as your hand. 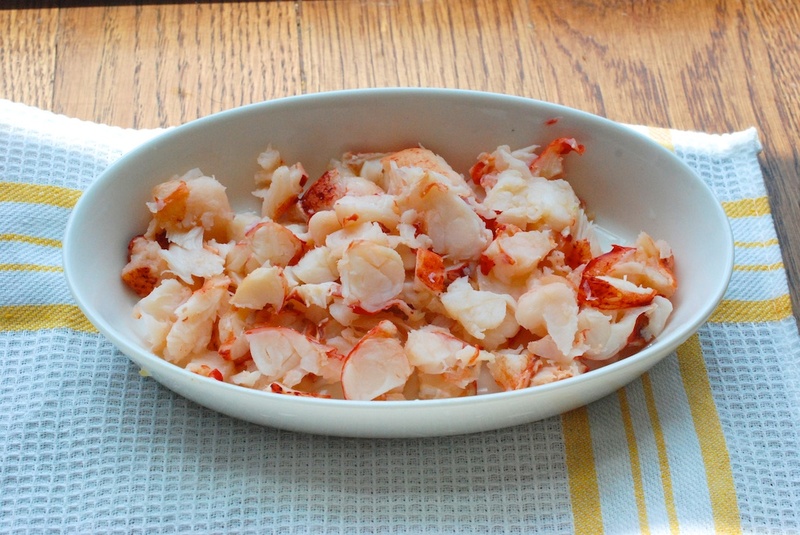 ***A note about the lobsters: Of course, you can boil your own lobsters for this recipe. If you do, allow them to cool, and remove the claw and tail meat from the shell before you start the recipe. My suggestion is to use the freshest lobster meat you can find. 1. 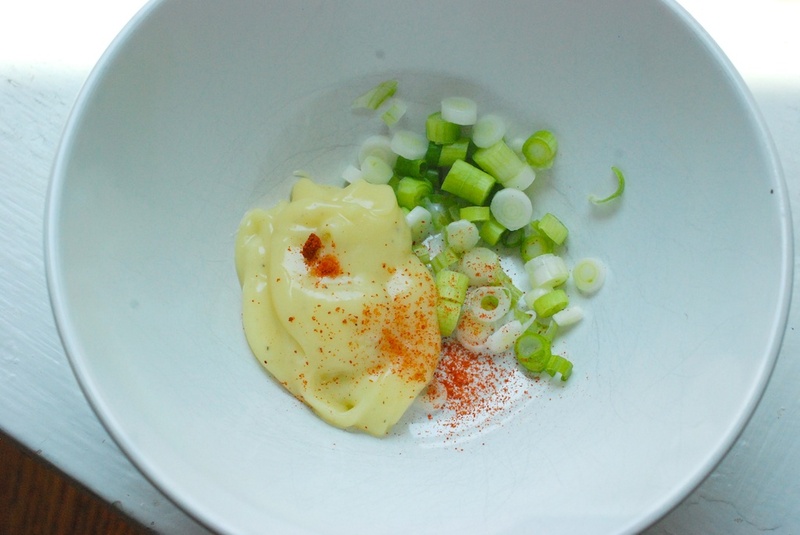 Add the minced garlic, the egg yolk, the mustard, and the black pepper to a small bowl. Give everything a little stir, to incorporate. 2. 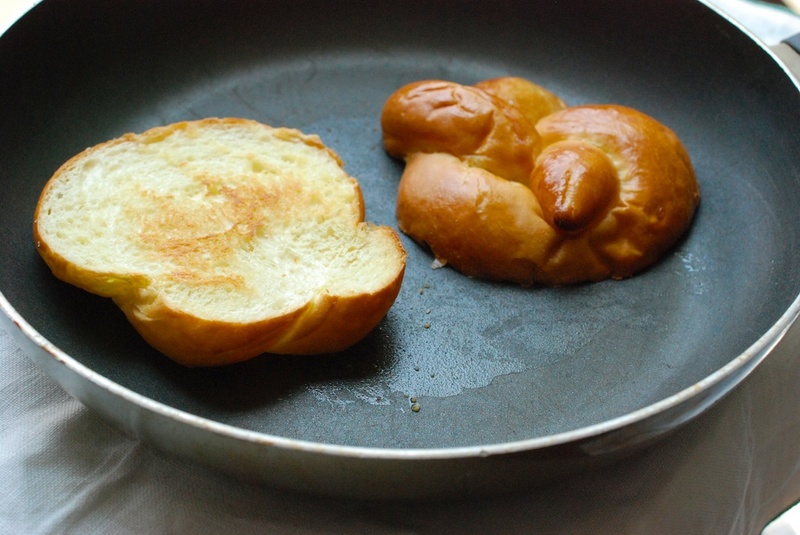 Slowly incorporate the oil in a very thin stream, while constantly beating with a fork or mini whisk. (Add a little oil at a time, waiting until the oil has ‘disappeared’, before adding more.) 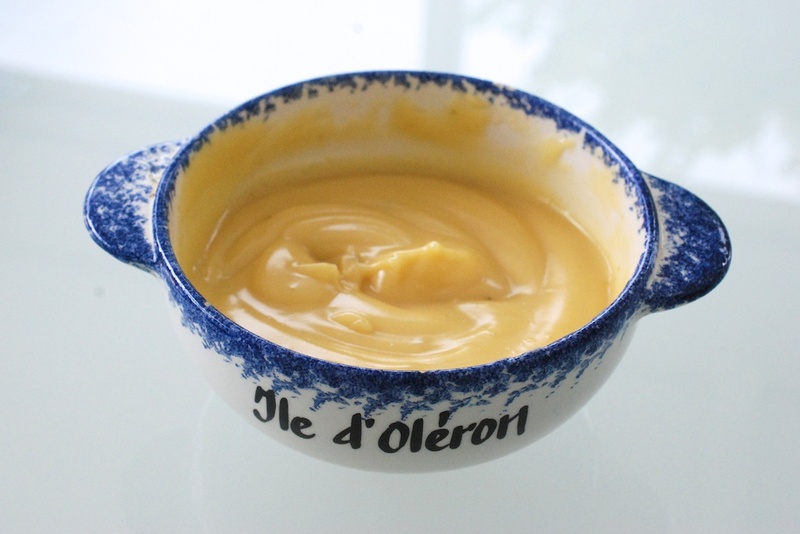 The whole process should take about 5 minutes–the mayonnaise will have risen in the bowl and turned a paler yellow. You should also be able to tip the bowl over without the mayonnaise falling out. 1. Wash and thinly slice the scallions. Add them to a medium-sized bowl, along with the cayenne pepper and the mayonnaise. 2. 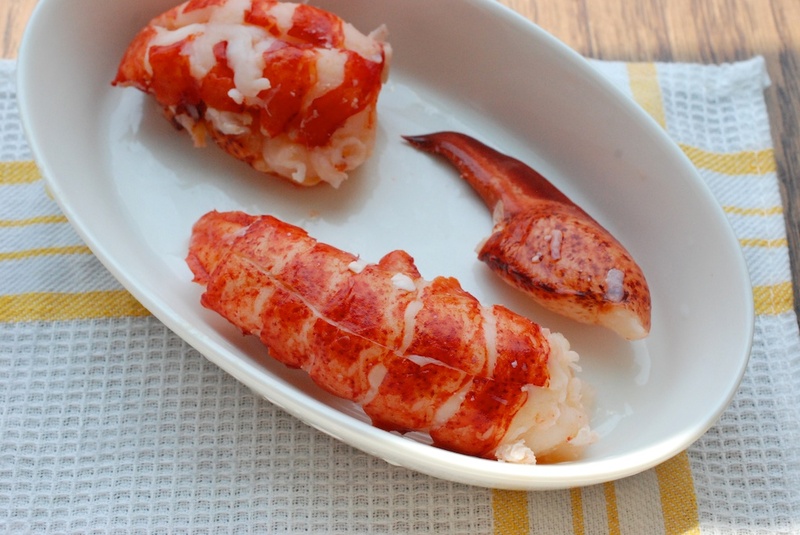 Chop your lobster into bite-sized pieces. 3. 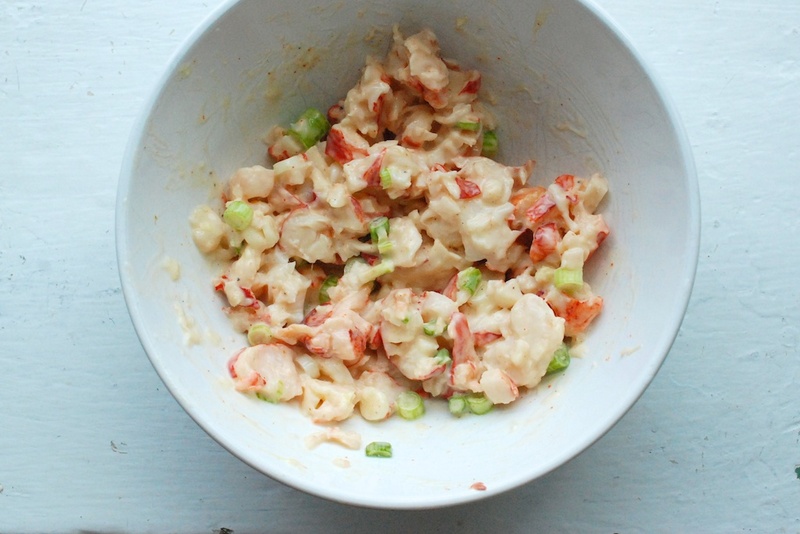 Add the lobster to the scallion/mayonnaise bowl, and gently toss all ingredients together, to incorporate. Stir in the lemon juice. Cover the bowl with plastic, and move to the fridge while you assemble the sandwich ingredients. 2. Layer 1-2 leaves of lettuce on each bun. 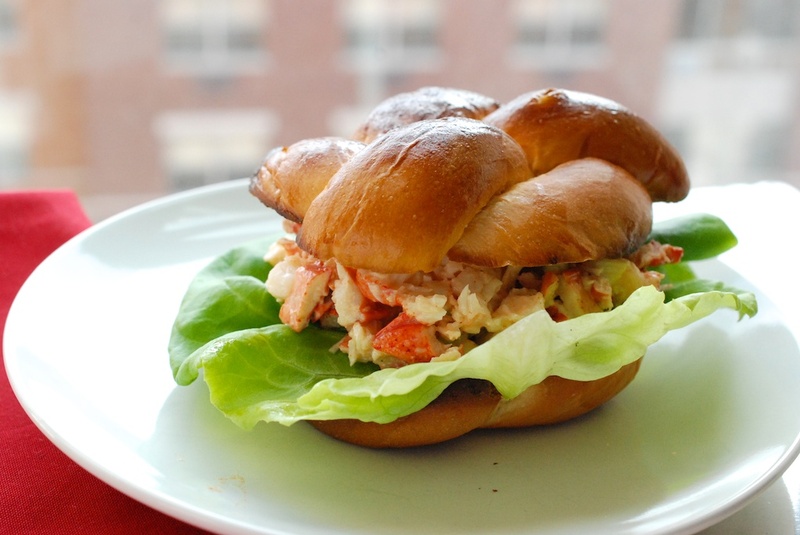 Pile a generous scoop of the lobster salad on top of the lettuce. 3. 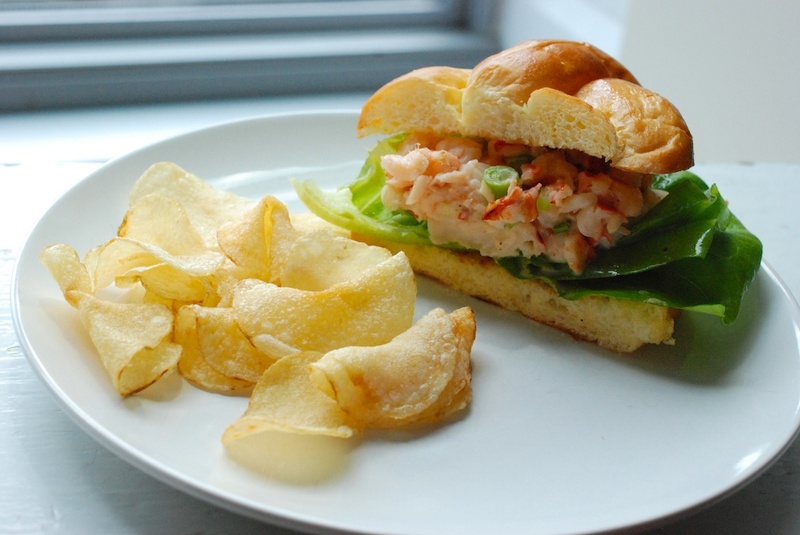 Optional: layer some Cape Cod potato chips into the sandwich. (They provide salt and crunch.) You can also simply serve the sandwich with the chips on the side. 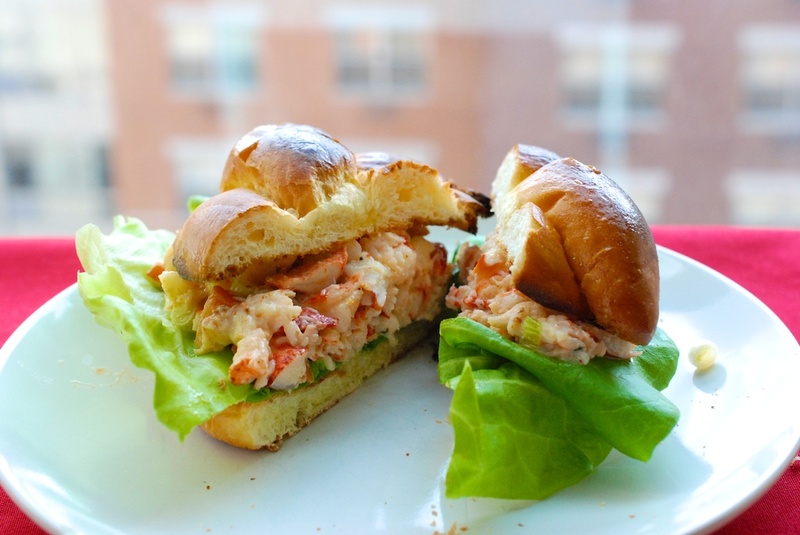 i’ve been wanting to be in maine for a lobster roll lately….